Why Should People Choose Mini Dental Implants? In the last few years, mini dental implants have become a viable alternative to conventional dentures. Some patients experience difficulty with removable dentures for many different reasons. People even experience pain and discomfort with their dentures. Due to this, some patients also have to change eating habits to accommodate new dentures. Over time, some other problems may also cause difficulty. These include dental occlusion. If your dentures become ill-fitting or loose, it may cause severe problems. Mini implants are considered a good option for patients to alleviate movement, secure dentures and resolve dental problems. 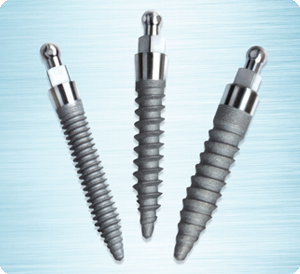 In most cases, mini implants are manufactured from titanium alloys. These are similar to traditional implants. Moreover, they are available in different lengths. These implants differ from other dental implants on the basis of diameter. Mini implants feature a diameter less than 3 mm. Due to this, the procedure of inserting a mini implant is less painful, convenient, quicker and less invasive. You don’t have to experience problems you tackle while getting traditional implants. Thus, mini implants are considered a great alternative for people who can’t tolerate standard implant procedure. The procedure of getting mini dental implants is simple and convenient. The placement is relatively quick and easy. It can be easily carried out under in a clinic under local anesthesia. When the patient is anesthetized, the dentist uses a small drill to create a space. This drill is used between the jaw bone and the gum tissue. It helps accommodate the implant. Mini dental implants are surgically inserted into a patient’s jaw bone. They are completely embedded, and the top of the implant is left above the gum’s surface. An attachment cap is also positioned on the dental implant. Last but not the least, the denture is carefully secured in place. The patient doesn’t require any stitches or months of healing. Most importantly, the procedure takes just one day. Minimum disturbance to the gum tissues and the bone leads to a shorter healing period. Therefore, it reduces the chance of any implant failure. Moreover, you don’t experience any discomfort or pain. According to most patients, one of the most important benefits of mini implants is that they are very affordable. When compared to traditional implants, they cost much less. Moreover, it’s a very quick procedure. Due to this, you don’t have to spend a lot of time at the dentist’s clinic. There are many people who do not want to wear dentures. They feel uncomfortable with traditional implants. Mini implants can boost their confidence and self esteem. Mini implants don’t fall out when you’re eating or yelling. Thus, they have become the best alternative to traditional dental implants. You just need to choose an experienced dentist, like Drs. Sexton and Carner. Image courtesy of Glidewell Laboratories.